Want to stand out at your next marketing event? 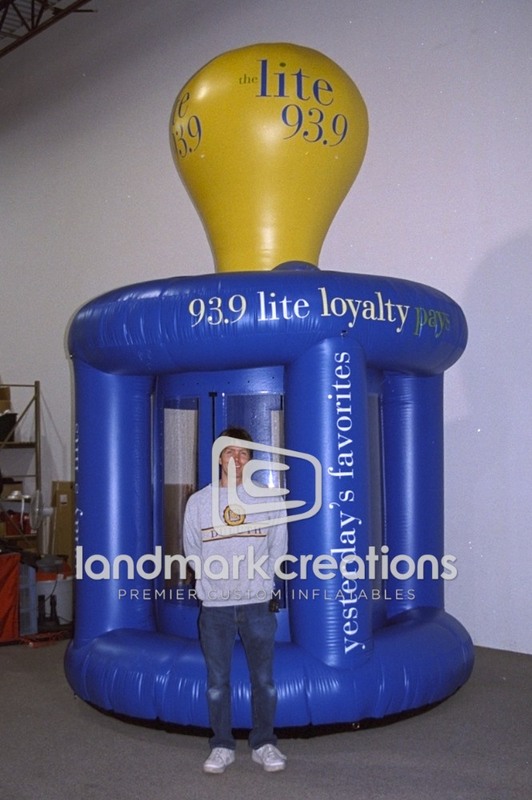 Inflatable air booths, like this money machine made for WLIT The Lite 93.9 FM, attract attention and encourage crowd participation. Pack DIMs: 25" x 20" x 20"